The philosophy of Muskogee Public Schools is to create, support and maintain an environment conducive for educational excellence. The District’s mission is “Muskogee Public Schools-One Team, One Vision, One Community.” The mission becomes reality when all members of our team are dedicated and share responsibility. Recently, Muskogee Public Schools voters passed a bond issue that provided $8 million toward improving technology in our schools. Hilldale Public Schools also provides education in Muskogee. This district’s mission is to create and provide education opportunities, which promote academic excellence in a safe and orderly environment, and to empower all students to succeed in a changing society. In addition, fully accredited private schooling is available at Saint Joseph Elementary School (Pre-K – 8th grade) and Boulevard Christian School (1st – 12th grade). Muskogee offers secondary and post-secondary technical training at Indian Capital Technology Center. In addition, a two-year or four-year degree can be earned in Muskogee at Bacone College, a private school, or Connors State College or Northeastern State University, both public schools. 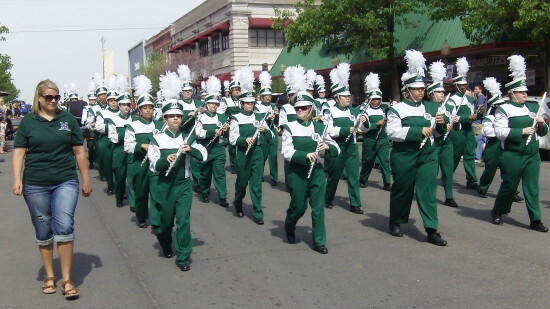 Take advantage of the outstanding educational opportunities that await you in Muskogee!